Losing important income from defaulted student loans. The government can absolutely garnish your wages or taxes if you have defaulted student loans and you don’t have a deferment. This is why it’s so critical to find solutions if you’re struggling with your federal student debt payments. If you don’t, then the government is 100% within their right to garnish money from your wages or taxes. There can also be a salary offset for federal employees. When most people hear the term garnish, they may think about parsley on the side of a dinner plate. That’s not the garnishment we’re talking about. This garnishment will make you lose your appetite. 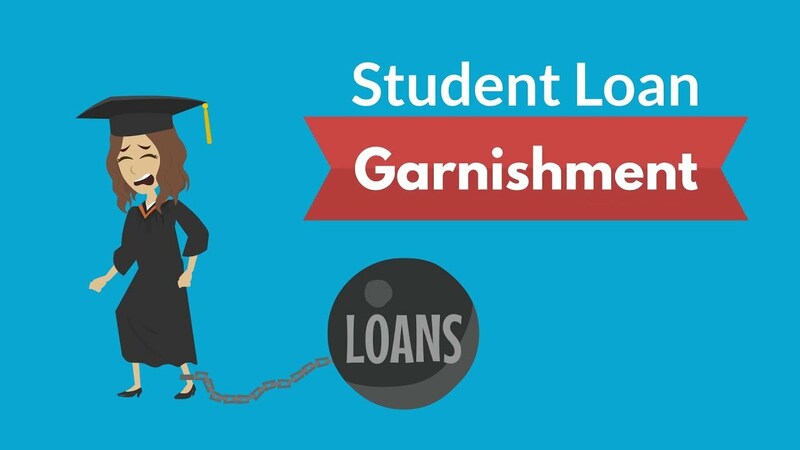 Student loan garnishment means that the government takes a chunk of your paycheck or your tax returns. The government then uses that money, your money, to pay down your student loans. Thankfully, this only happens when you are in default. That’s when you fail to make money payments for 9 consecutive months. At that point, the government goes after your cash and it’s totally legal. How much can they take? Up to 15% of every paycheck and all of your tax refunds. This is definitely something you want to avoid. Luckily, there are proven ways to grind garnishment to a halt. Learn about them at Debt.com. How quickly can they garnish my wages or taxes? By law, there is not much wiggle room between being current with your payments and being in default. As soon as you miss a payment by 30 days, a loan becomes delinquent. Then, if your loan payments are monthly, the loan goes into default after 270 days (9 months). Fact: If your payments are on less than a monthly schedule (e.g. bi-monthly), default occurs after 330 days (11 months). Once the loan goes into default, the government can start the process for garnishment. They have to send you a notice of garnishment or offset 30 days prior. If you don’t get things settled up in 30 days, then the garnishment or offset begins. Wage garnishment. The government can take 15 percent of every paycheck until your payments are brought current. Tax refund intercept (AKA treasury offset). The government can withhold your entire federal income tax refund up to the amount you owe. Federal salary offset. Employees of any federal agency can have 15 percent of their disposable income diverted to paying off your defaulted loans. Can my taxes be garnished if my spouse has defaulted student debt? If you file jointly, yes. However, you may be able to file an “injured spouse claim” with the IRS to recoup your portion of the refund. Does consolidating my debt stop wage garnishment? As long as your wages aren’t already being garnished, then consolidating can prevent garnishment. So if you’ve received a 30-day notice, you need to act quickly to avoid garnishment. Does consolidating stop tax garnishment? Yes. Once you consolidate, you should be entitled to your full refund check at the time of your next filing. When does garnishment stop? Once you are brought current on your payments for all defaulted debts, garnishment stops. If more money is taken from your federal income tax refund than is required to cover your defaulted debt, the difference will be refunded to you.